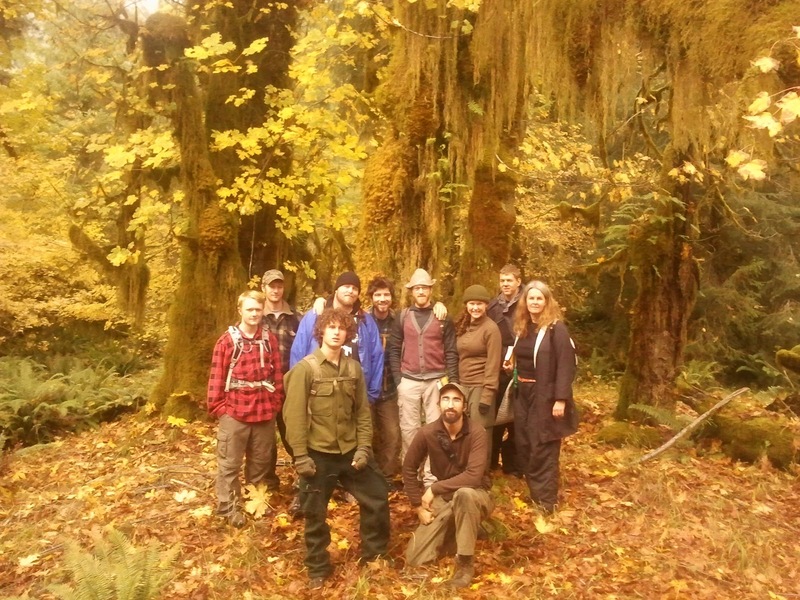 During the final weekend of November, students from the public participated in our 2 day wilderness survival course. 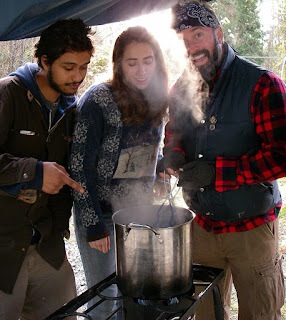 They learned skills to help them take care of the four basic needs of : shelter, water, fire and food. Alderleaf instructor Connor O'Malley teaches students the step by step method for building a debris hut. 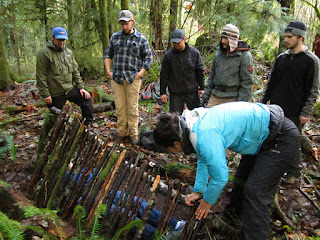 Here students are adding "ribs" to the "spine" of the shelter. 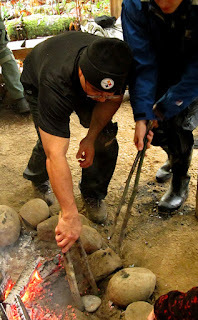 Here weekend survival students have fun working together to stoke the coals in the wooden bowl burning process in preparation for primitive water purification. 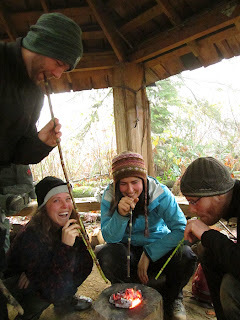 They utilized a local native plant, common horsetail (Equisetum arvense) as natural straw to focus on the breath on the coals and encourage them to burn hotter. Here students use primitive tongs to move red-hot stones from the fire in order to boil the water in the bowls they have just hollowed out. It takes skill and speed to move these stones, as they are incredibly hot! 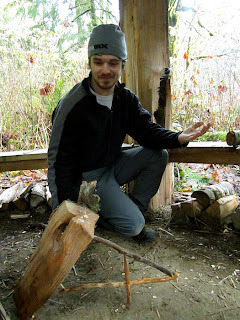 Here another student from the weekend wilderness survival course demonstrates his figure-4 dead fall trap. 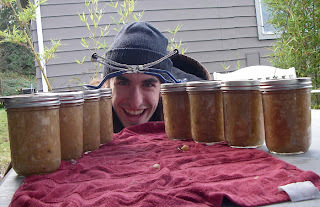 This simple trap is used in survival situations to trap small game as a source of food. 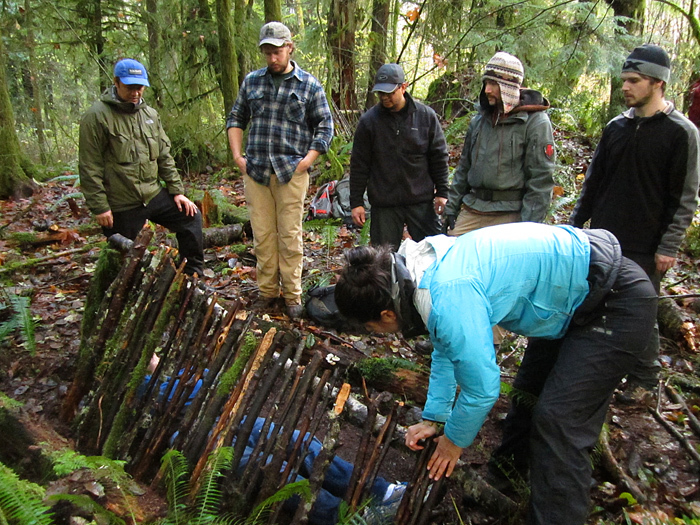 This short course is an excellent introduction to the major areas of study in the realm of survival skills. 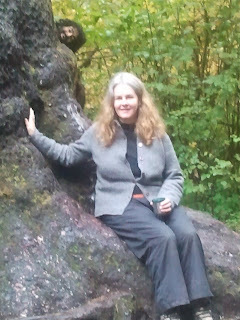 The weekend was a great deal of fun and serious learning, and we were even blessed periods of sunshine. 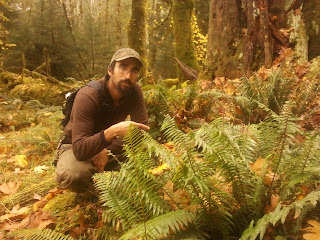 We will be offering this course and more in 2013. To see the dates check out our Calendar of Courses. 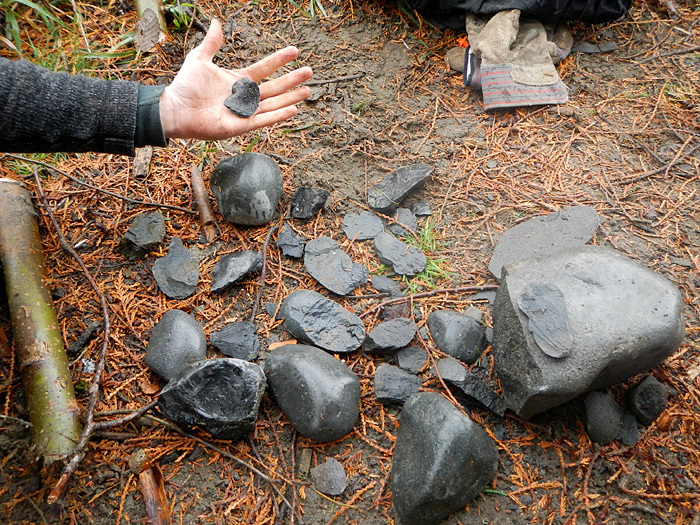 Here is a photo of some of the blades made from basalt collected locally during the stone tools class. 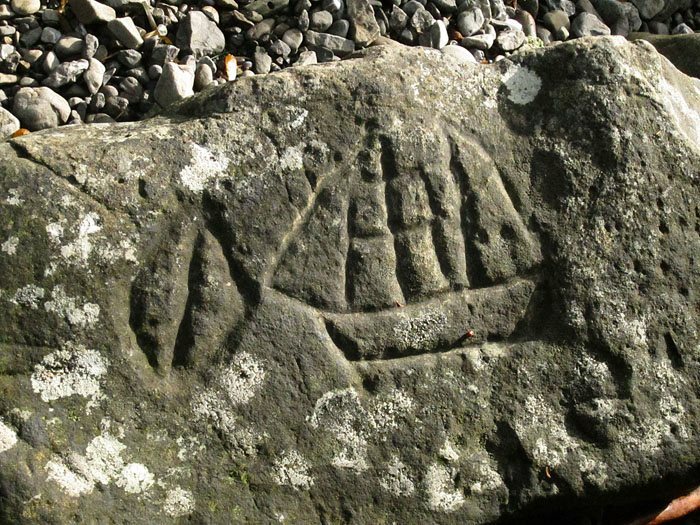 The large stone in the lower right is the anvil, and the rounded stones near the lower center are hammer-stones. 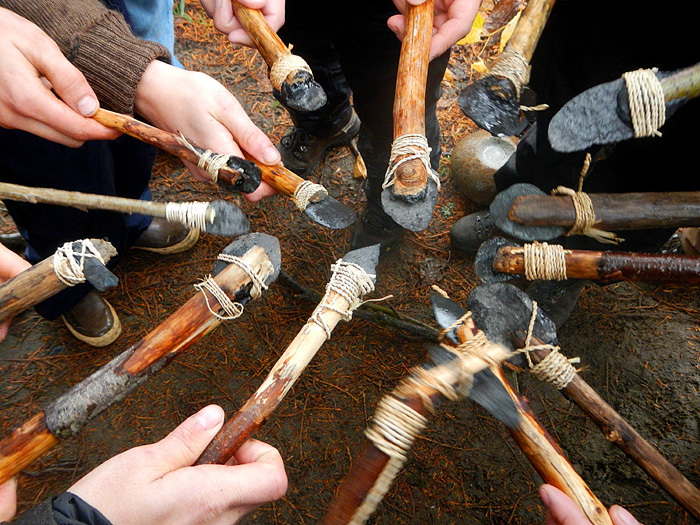 These are the finished primitive stone knives made from the same stones. They blades were lashed with cordage and attached with pitch glue. During our advanced fire making day, students worked with all natural materials harvested from the landscape to create bow-and-drill friction fire kits. 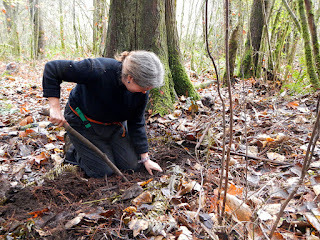 Here, student Christine digs for cedar rootlets, which can be used in place of cordage. 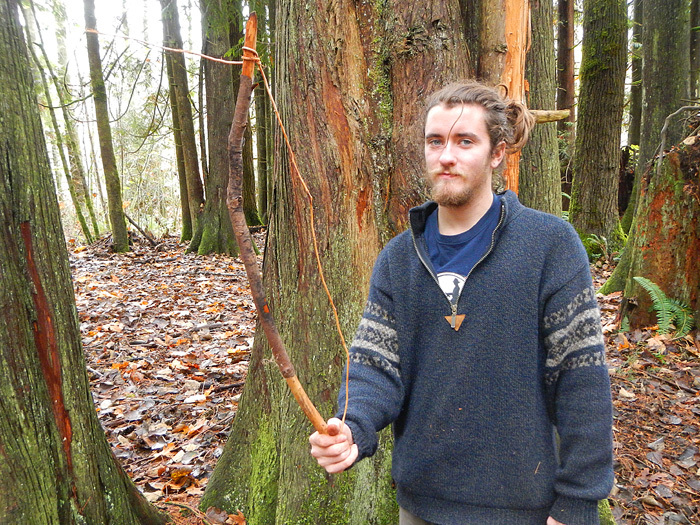 Here, student Coley demonstrates a bow with one of these cedar rootlet cords. 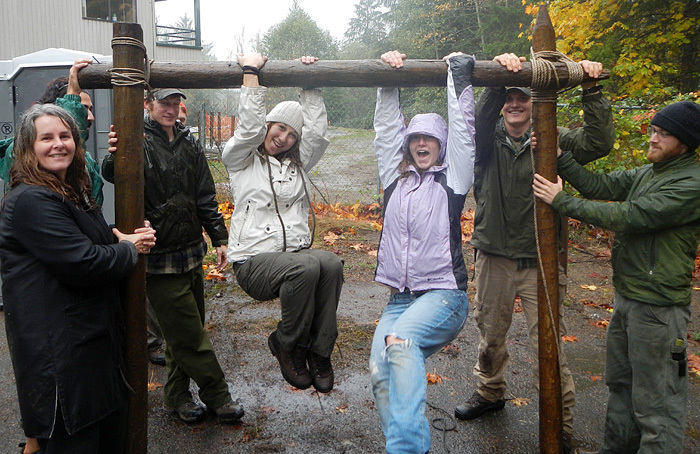 On another class day, students Christine, Elan, Riley, Beth, Alyssa, Austin and Rob test out a frame work they lashed together during their knots and lashings class. Students Yusef, Caitlin and Jeremy work together to can applesauce during a permaculture class at Alderleaf. Here is a look inside the pot during the process. 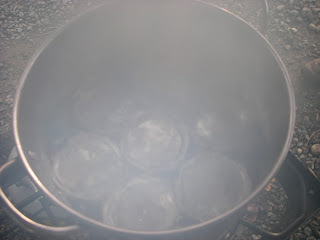 You can just see the lids of the jars being heated, in order to seal them. 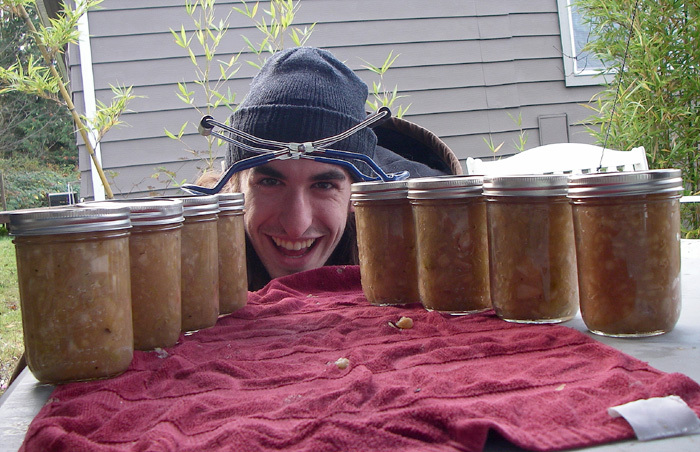 Here is student Pete, happily displaying the bounty of a good canning session: spiced applesauce! Keep an eye on our blog for more updates to come very soon! Last week students in the Alderleaf Wilderness Certification Program traveled west to the Olympic Peninsula. 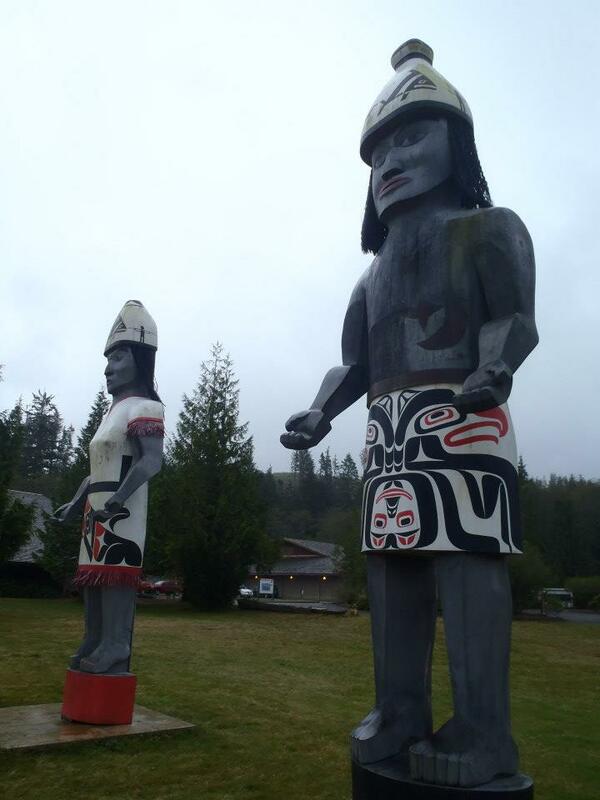 Our first stop was the Makah museum on Neah Bay. On display were artifacts from a village that was buried in a mudslide some 500 years before. We saw instruments used in whale hunting, cedar boxes and clothing, a reconstructed long house, and ceremonial objects. 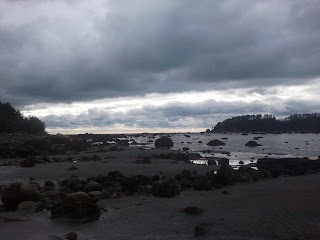 Next we were off to Lake Ozette to explore the coast and see where the village of Ozette once stood. 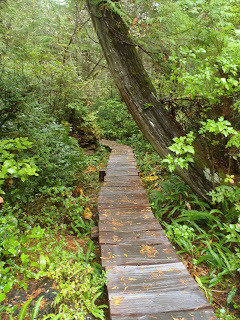 In order to get to the coast we hiked through the forest and learned about the plants, trees and mushrooms growing there. 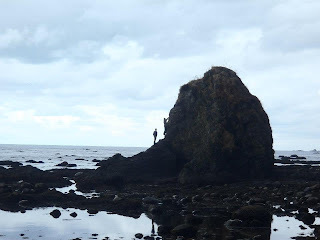 On the coast the students climbed sea stacks. Sea stacks are vertical rock formations standing in the sea that were formed entirely by wind and water. The formation process usually begins when the sea creates cracks in the headland, causing them to later collapse, and forming free-standing stacks. 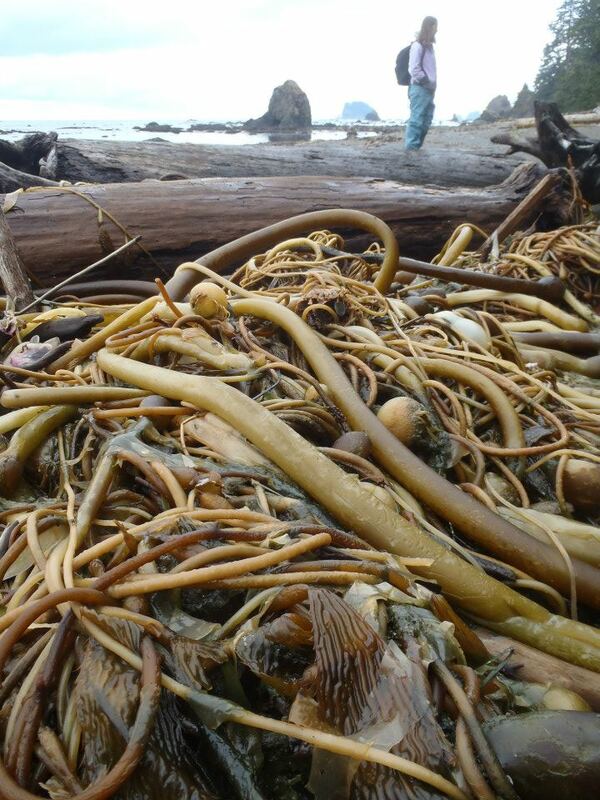 Nereocystis, bull whip kelp, was found all along the shore. 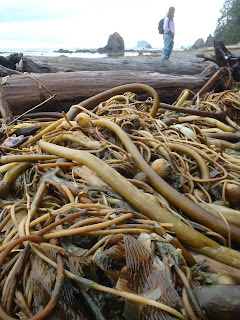 All seaweeds are edible and excellent source of minerals, especially potassium, sodium, calcium, magnesium, nitrogen, iron, zinc, boron, copper, vanadium and nickel. Instructor apprentice, Jeremy, found bear and cougar tracks on the beach! 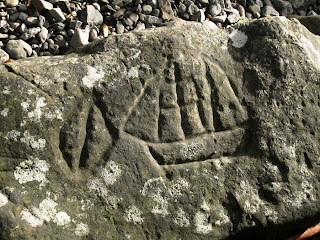 Makah petroglyphs etched into the Wedding Rocks, a cluster of shore-hugging boulders. 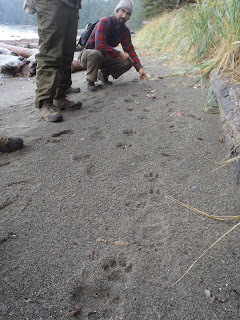 In the morning we were back in the vans and headed south to the Hoh Rainforest, where we learned about old growth forests and animals who live there. 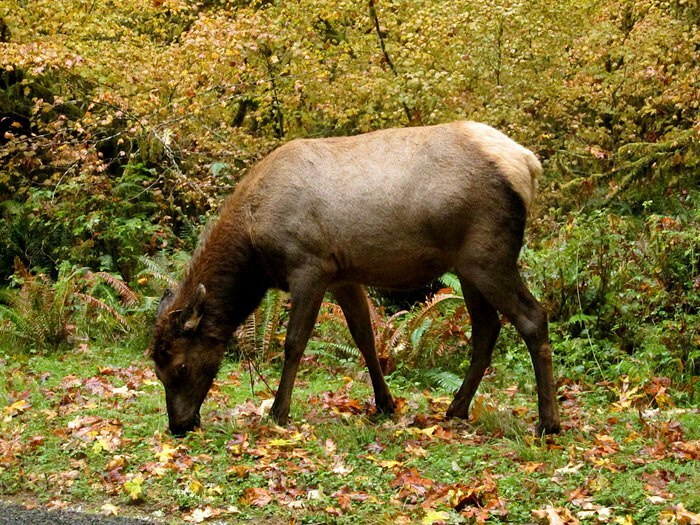 The park is home to the largest unmanaged herd of Roosevelt elk, Cervus elaphus roosevelti, in the Pacific Northwest. 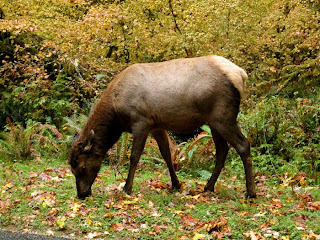 Roosevelt elk feed mainly on ferns, shrubs, and lichens from the rain forest, as well as meadow grasses. Pileated Woodpeckers are often associated with mature and old-growth forests. 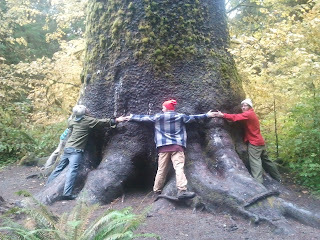 They need standing dead wood for nesting and as a food source. 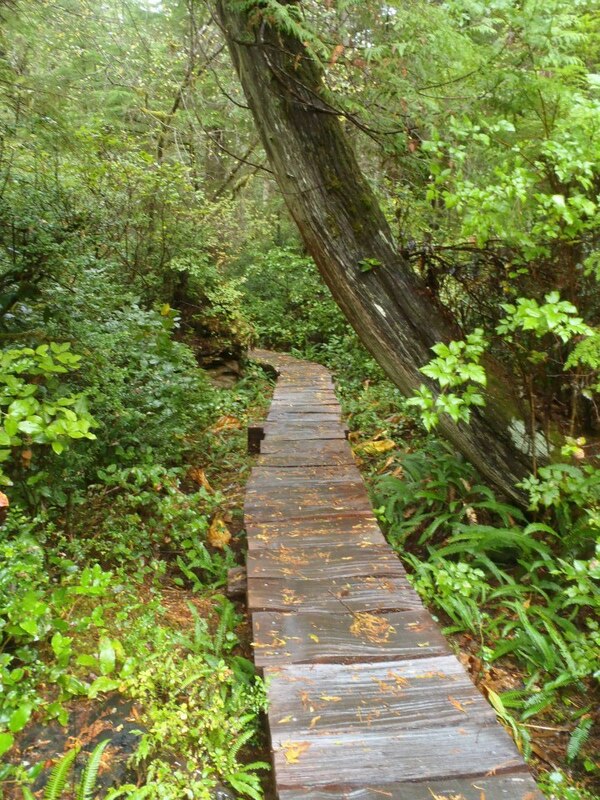 Pileated woodpeckers eat wood-boring insects and insects that nest in trees, including long-horned beetles and especially carpenter ants. 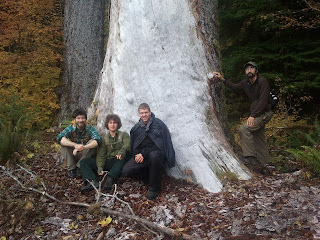 Picea sitchensis, Sitka spruce, dominate the park. 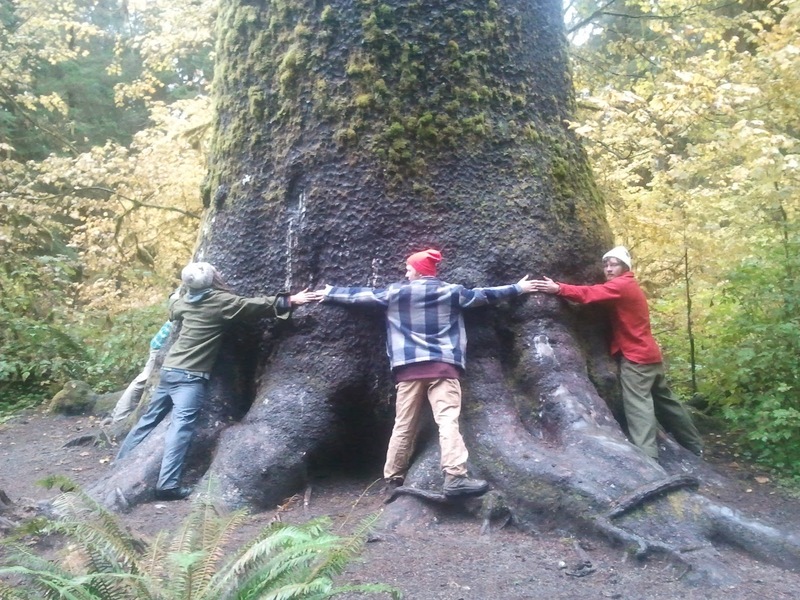 They reach heights of 80 meters with a trunk diameter of 5m and can live for over 700 years.